I'm a little scared of sewing knits myself, but these are so cute I might just have to cowboy up and try it. 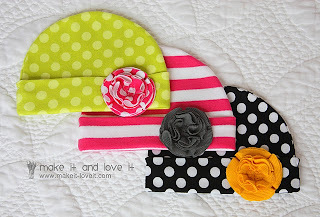 You can find step-by-step hat tutorial here. 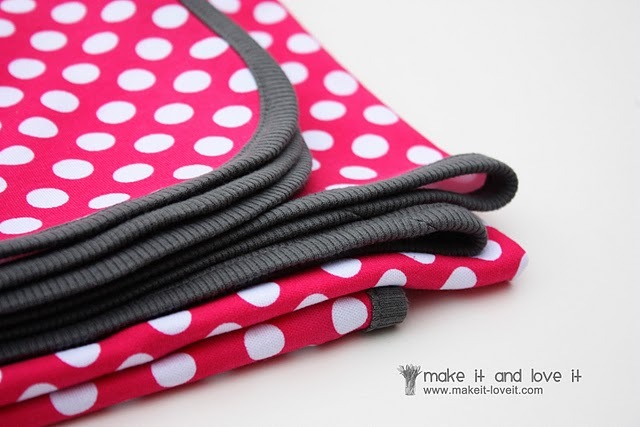 And the step-by-step blanket tutorial here.